This is a continuation of the photos I took in South Haven on Saturday. 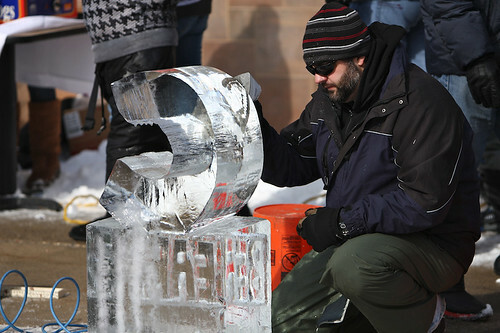 This man was participating in the ice sculpting contest and he was actually using an iron (yes, an electric clothes iron), to make the ice smooth and shiny. Click on the photo to view it larger. The gallery of the photos I took in South Haven will be up in a few days.